This little cutie is a from a stamp set by Inky Antics. The set includes this stamp along with a full view of her, a cute kitty, owl, and several sentiments. You can see the entire set here. She is stamped on white card stock with black ink, colored with Copic markers, and trimmed close. 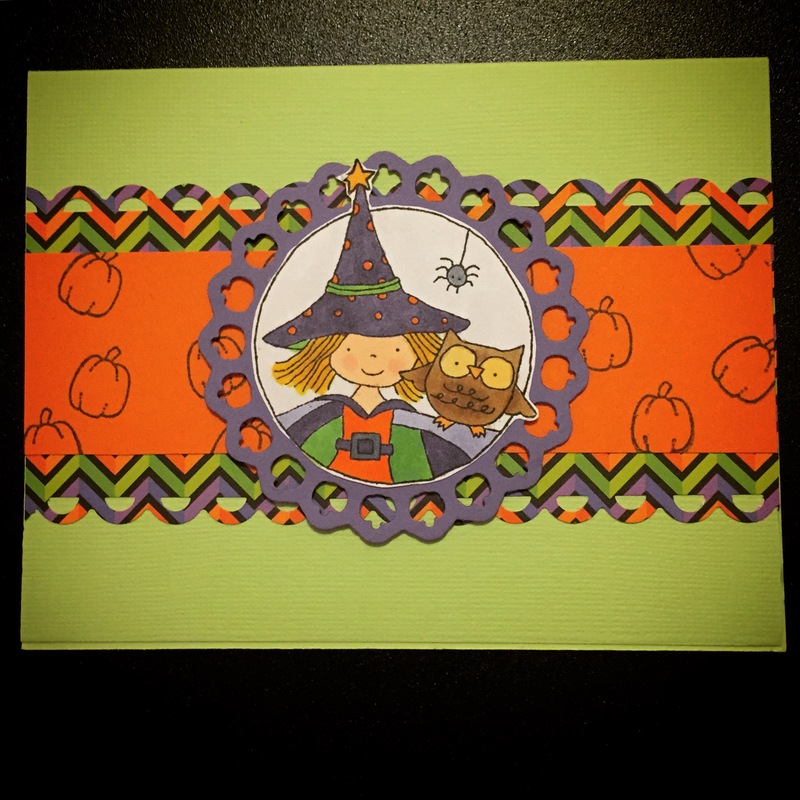 She is then layered to the purple circle with the pumpkin border, which is die cut from the Nestabilities S4-331 set by Spellbinders. The tiny pumpkin from Darcie’s is stamped with black ink on an orange card stock panel. 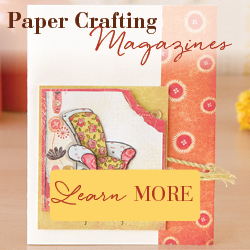 The panel is layered onto patterned paper that is punched along both edges with an edge punch from Fiskars and then attached to a green card. The stamped image is attached with pop dots. No spookiness here ~ she is certain to make you smile! This entry was posted in Cards, Fall. Bookmark the permalink.